we never did end up cooking any meals in the original kitchen at hillside. as a mater of fact, ripping out this kitchen was one of the very first projects at hillside. it was super easy taking everything down and getting it recycled or to the dump and really opened up the space. long gone are the above the counter cabinets at hillside...never to return. now, putting it back together again did take a bit longer than we had hoped, but that is all par for the course. 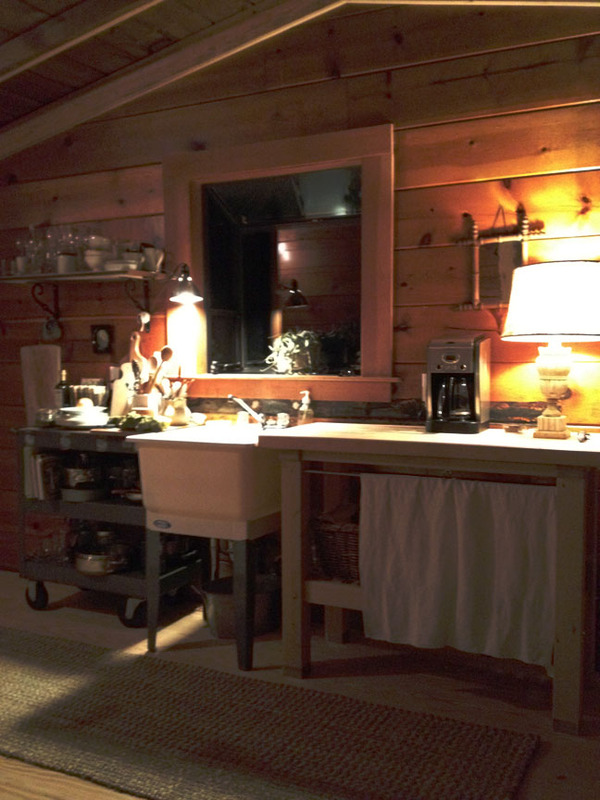 and honestly, our makeshift kitchen grew on me and its charming dysfunction had its way with me and i kinda miss it. 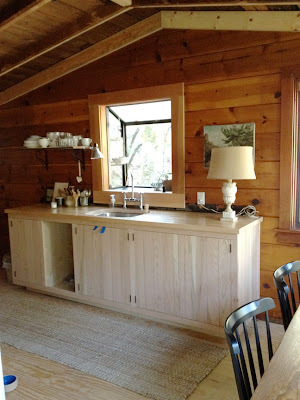 oh, i can really see how you miss the cozy, assembled look of the 'in between' kitchen. fun! love the lamp in the kitchen. a must for me. makes it feel so much warmer. Ah, Bemo's bowl. I want to roll up my sleeves and make.. what!? oh, fall.. soup! donna - yes, trying to move on and let it go :). if felt quaint. i am all over lamps in the kitchen too...actually i love to have a lamp on the dining and kitchen tables too....that lamp i found online for 10.00..all marble, just needed rewiring. I too like the middle and "end" stage.